My typical diet used to include (like most Americans) ranch dressing and other ranch flavored items – chips, crackers, etc. I especially used to love the Hidden Valley ranch dip that you mix with sour cream. However, the ranch seasoning mix I used to love has some weird ingredients in it. Maltodextrin (huh? ), MSG, modified food starch, calcium stearate, soy, spices and natural flavor (can we get more generic?). After reading these ingredients, I decided to see if I could make a seasoning mix that gave me some ranch flavoring with normal herbs and spices that I know and can pronounce. 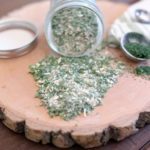 I developed this seasoning mix by adapting the recipe I found at Plaid & Paleo. If you haven’t checked out Vanessa’s blog yet you should, it is a great source for paleo recipes. Good news, this paleo ranch seasoning mix turned out really great! We’ve had it on white fish, chicken, salmon, eggs and it is a key ingredient to a new personal favorite – chicken dip. Now that I have the recipe dialed in, I like to make a batch up to have on hand and put it in a jar to have ready whenever I want to use it. This recipe makes about a cup of seasoning, so you can easily store any leftovers in a sealed jar for later use. 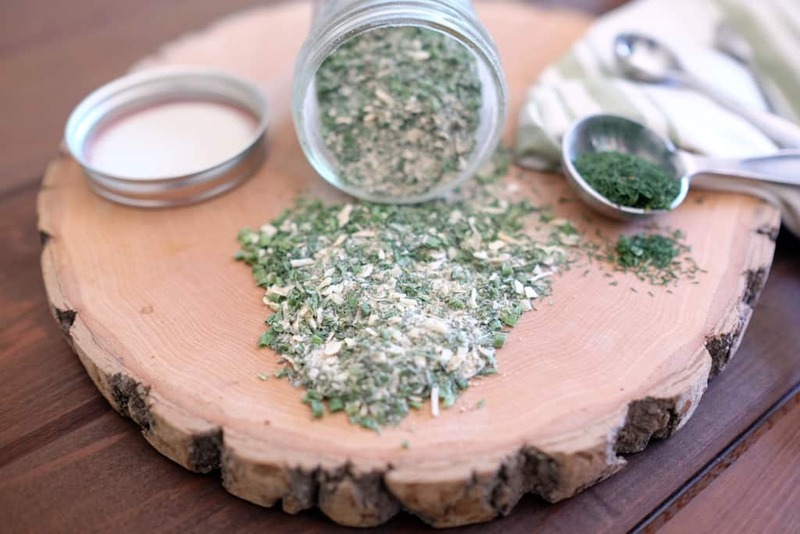 Enjoy this paleo ranch seasoning, it has quickly become one of our new favorites! Add all of the seasonings to a bowl and mix well. Store any unused amounts of your paleo ranch seasoning in a jar for later use. Just used this in baked salmon. OMG so good, and no sugar. This is my new fav! !